Should you have a complaint or wish to suggest an improvement in our services please ask to speak to our manager Mrs Campbell. You may be asked to submit your complaint or suggestion in writing. Your letter will be discussed at a Practice meeting. We aim to reply to your letter within 10 days and keep copies of all correspondence. The Practice team discusses all complaints and suggestions and where appropriate the issues raised are referred to our patient participation group. Only the issues raised are discussed at our patient participation group, never personal details. We ask you for information so that we can provide the proper care and treatment. We may use some of this information for other reasons; for example to help us protect the health of the public generally and to see that the NHS runs efficiently, plans for the future, trains its staff, and can account for its actions. Information may also be needed to help educate tomorrow's clinical staff and to carry out medical and other health research for the benefit of everyone. Sometimes the law requires us to pass on information, for example, to notify a birth. The NHS in Scotland holds a register containing basic personal details of all patients registered with a General Practice. This register does not contain clinical information. You have a right of access to your health records. If you wish to see your records please ask for an information leaflet from a member of our reception staff. You may be receiving care from other people as well as the NHS, for example the Social Work Department. So that we can all work together for your benefit we may need to share some information about you. We only ever use or pass on information about you if people have a genuine need for it in your and everyone's interests. Whenever we can we shall remove details which identify you. 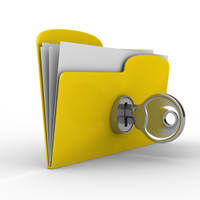 The sharing of some types of very sensitive personal information is strictly controlled by law. In addition all of the Practice team is bound by our Confidentiality Policy. The Practice has a zero tolerance policy against physical and verbal abuse. Acts of physical or verbal abuse will result in the offender and their family being removed from our list. If appropriate the police will be called and legal action taken.